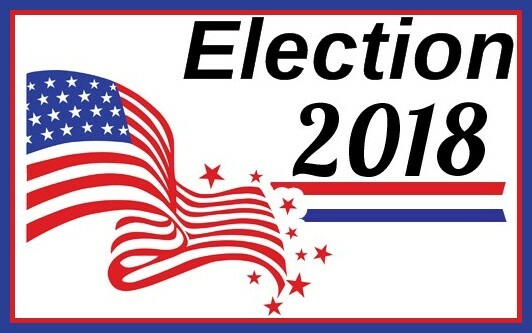 Friday, election officials in the Mason County Auditor’s Office released more results from the November 6th General Election. The turnout for this election is now 71.51 percent after nearly 600 more ballots were counted. The next count is scheduled for November 26th with certification set for November 27th. No significant changes in the latest unofficial results. These result do not include write-ins. The difference between Sharon Trask and Kevin Schmelzlen for Mason County Commissioner District 3 is now 948 votes or 3.58 percent. Trask now has 51.79 percent (13,747 votes) while Schmelzlen has 48.21 percent (12,799 votes). In the race for Mason County Sheriff, incumbent Casey Salisbury maintains his substantial lead on Darin Holland 65.72 percent (17,204 votes) to 34.28 percent (8,973 votes). Patti McLean defeated incumbent Melody Peterson for Mason County Assessor. McLean has 13,943 votes (54.48%) to Peterson’s 11,650 votes (45.52%). Paddy McGuire has picked up a few votes on Charles Rhodes in the race to be the next Mason County Auditor. McGuire now has a 675-vote lead with 12,908 votes (51.37%) to Rhodes’ 12,233 votes (48.66%). The next Mason County District Court Judge is George Steele who beat Eric Valley 13,063 votes (57.83%) to 9,526 votes (42.17%). The merger of Mason County Fire District 9 into Fire District 16 has been approved now with 80.81 percent approval. That’s 657 voting in favor and 156 voting against. In the 35th Legislative District races, the incumbents are maintaining their leads. Tim Sheldon has 30,795 votes (52.04%) while Irene Bowling’s 28,375 votes (47.96%) for State Senator. Dan Griffey has 37,467 votes (57.75%) to James Thomas’ 27,414 votes (42.25%) for State Representative Position 1. Drew MacEwen has 33,215 votes (51.21%) to David Daggett’s 31,640 votes (48.79%) for State Representative Position 2.